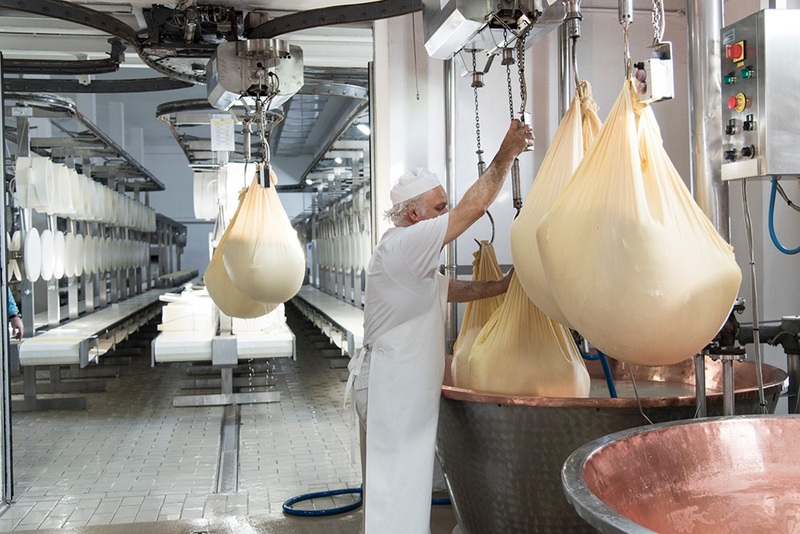 Today we are at Ponte di Barbarano, a small centre in the province of Vicenza, which is home to the same-named Ponte di Barbarano cheese factory, one of most important cheese and dairy production entities in the area, which since 1922 has been a virtuous example among the factories belonging to the Grana Padano PDO Protection Consortium. 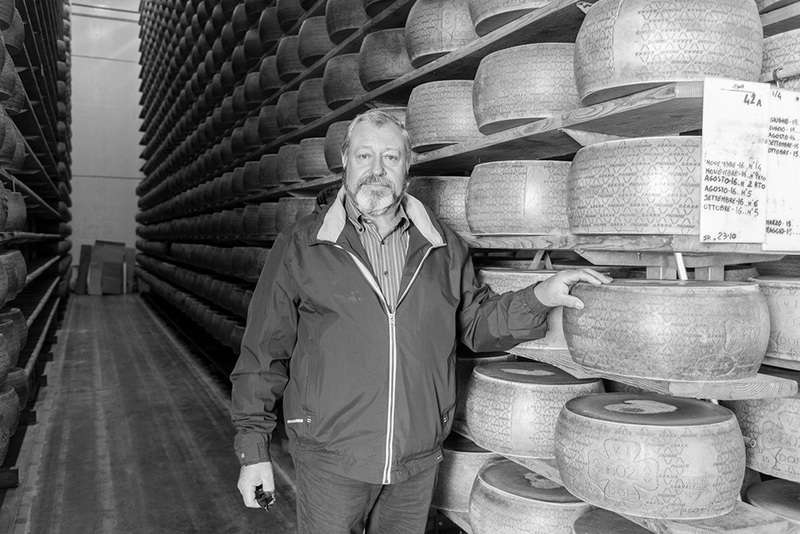 We are welcomed by the president Giuseppe Capparotto and the marketing manager Emanuele Cavion, but here all the employees who deal with the production of Grana Padano PDO are used to acting as guides to the many, many visitors who arrive each year from every corner of the world. 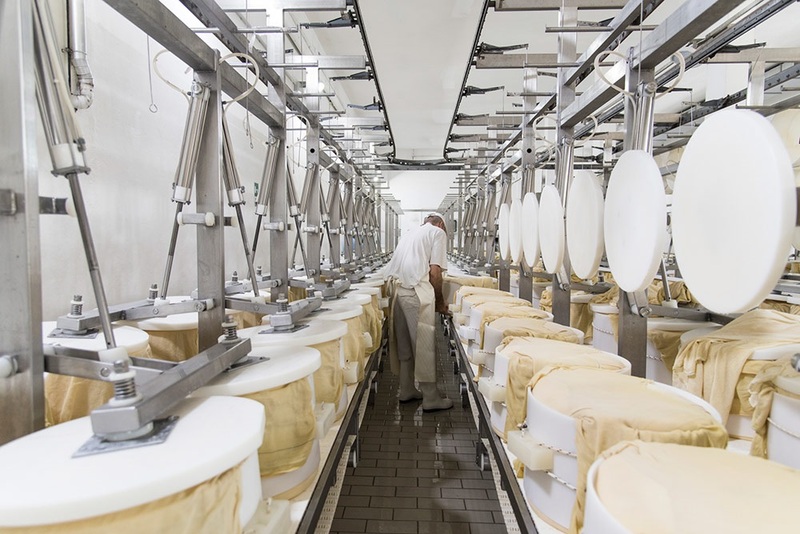 In fact, the cooperative organises an important initiative called Caseifici Aperti [Open Cheese Factories], an event that draws many visitors, as well as people who work in the sector and want to get a close-up view of how one of Italy’s finest products is made. 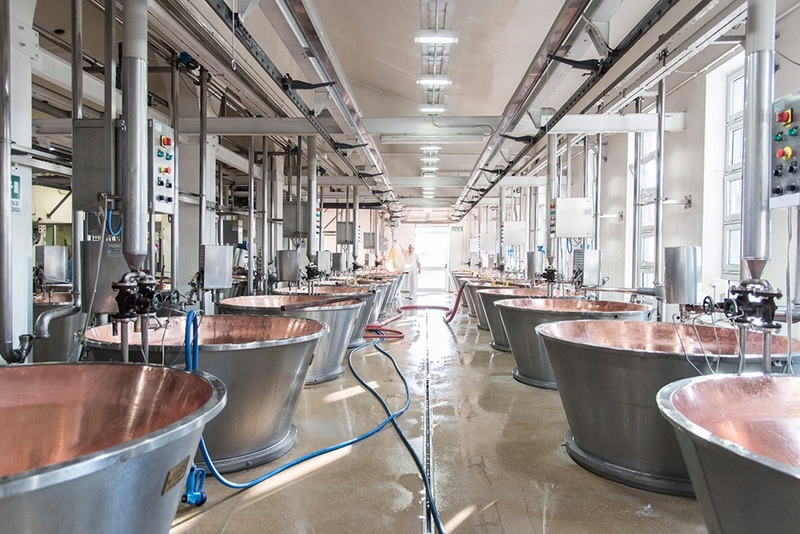 It becomes increasingly clear during our visit that, here, technology and tradition coexist well in this modern cheese factory. 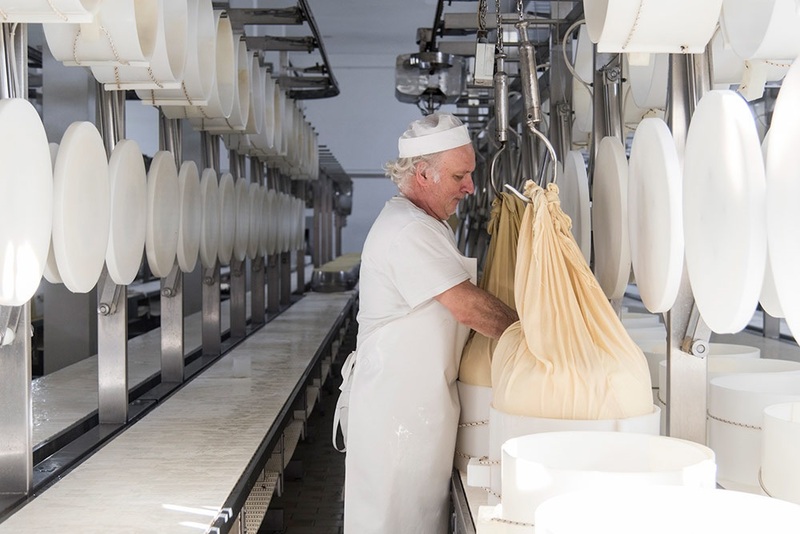 The old factory from 1922, the year that the Cooperative was created, with its 3 cauldrons, was modernised and expanded several times before becoming this imposing building, which for the sole production of Grana Padano has two processing rooms with 48 double bottoms. 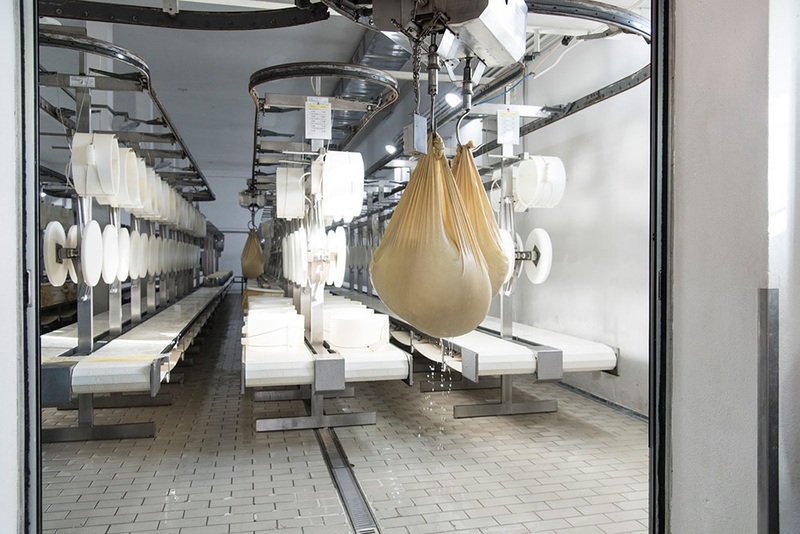 In addition to the room where the cream rises to the top with two large vertical basins measuring 600 quintals, to the moulding department, to the dynamic, mechanised salting room, to the large maturing warehouses with an overall capacity of 66,000 wheels, the factory is equipped with a processing room especially for Asiago Pressato and fresh cheeses, and the related ageing rooms. 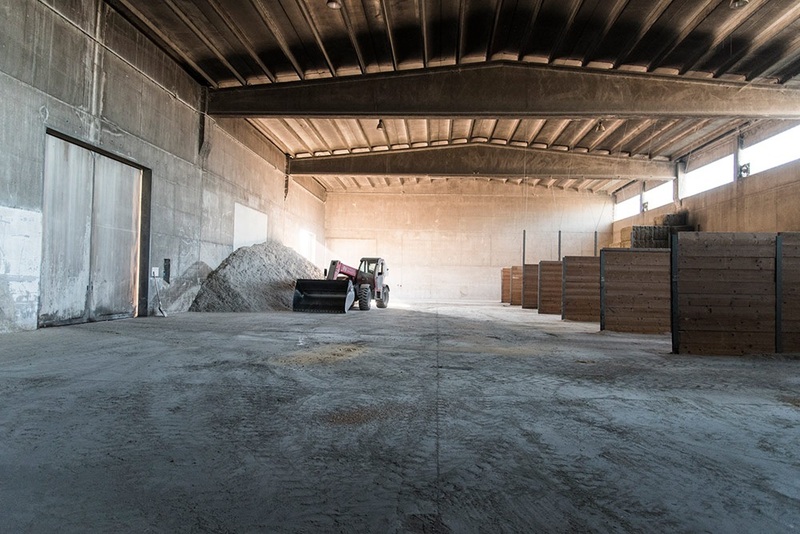 In other words, this cheese factory is continually transforming but always takes careful consideration of those who work with it. Several examples on the subject of technological upgrades are: in the early ’90s, the introduction of a specific system for handling the wheels which uses a system of tracks and conveyor belts. The breaking of the curd, however, is done manually. 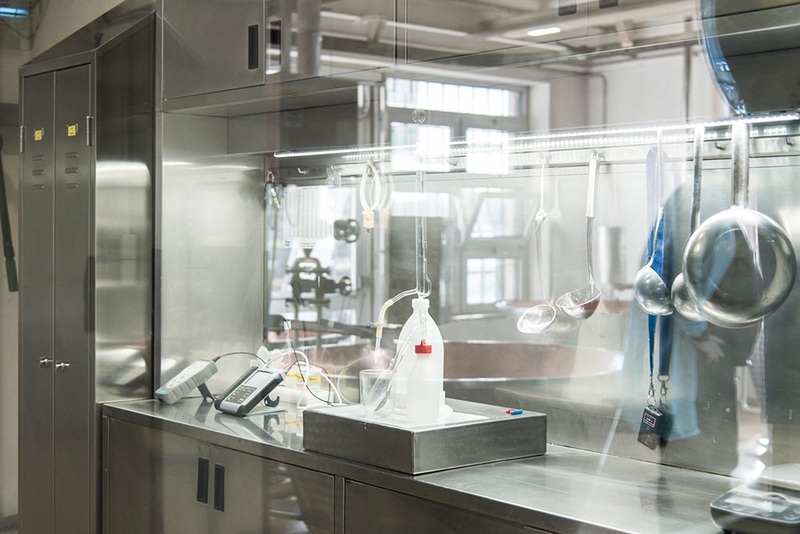 The beating heart of the processing plant are the two heating rooms, which hold 48 double bottoms in all and where everything is done traditionally. 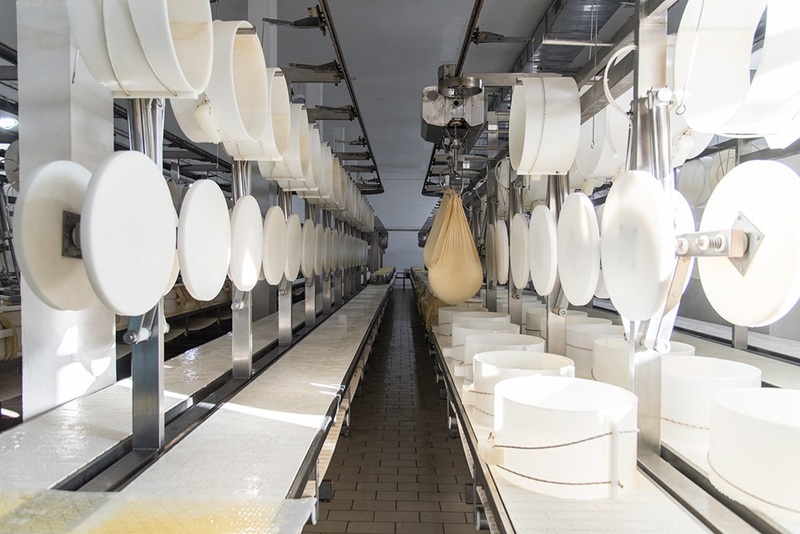 The enormous volume of milk processed, about 1000 quintals per day, 95% of which will become Grana Padano, would, on the contrary, suggest that this phase was mechanised. But being such a decisive step in the process, the hands-on, human experience plays a fundamental role and cannot be replaced by a machine. 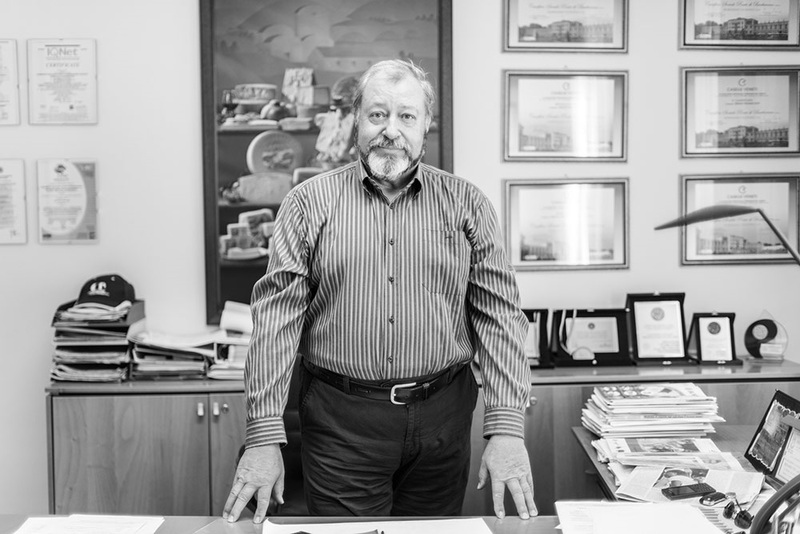 For the president, the advantages are so clear in terms of yield and quality, which balances the additional costs from requiring an extra worker for this process. So, yes to technological evolution, but only where it does not compromise the quality of the finished product. Important know-how on the subject of quality management which makes it possible to monitor every phase of the production process, but at the same time requires continuous professional updates for those working in production. For this reason, training is another cornerstone in the factory’s pursuit of quality. Co-workers and contributing members can take training and updating courses and are able to grow professionally. 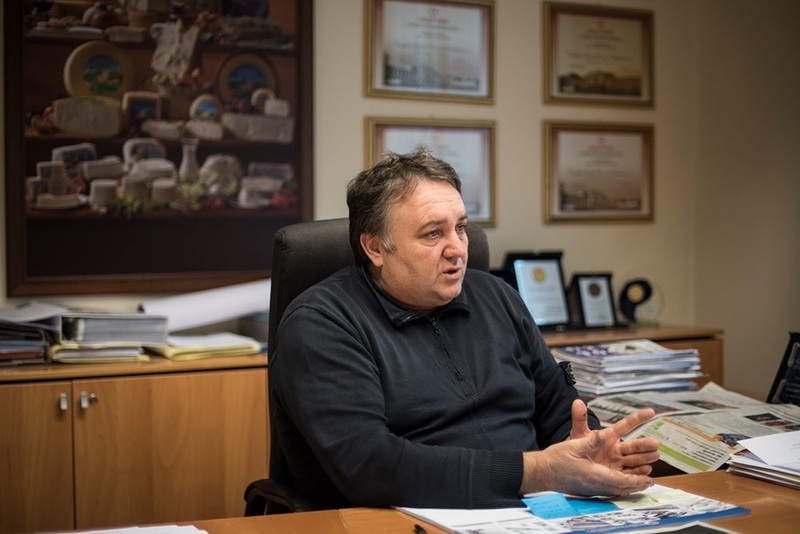 A truly virtuous circle, which has made it possible for the Caseificio Sociale to reach important goals, such as, for example, ISO 9001:2015 quality certification obtained due to its feed mill that supplies contributing members’ barns and has complete traceability of the production chain from field to table. 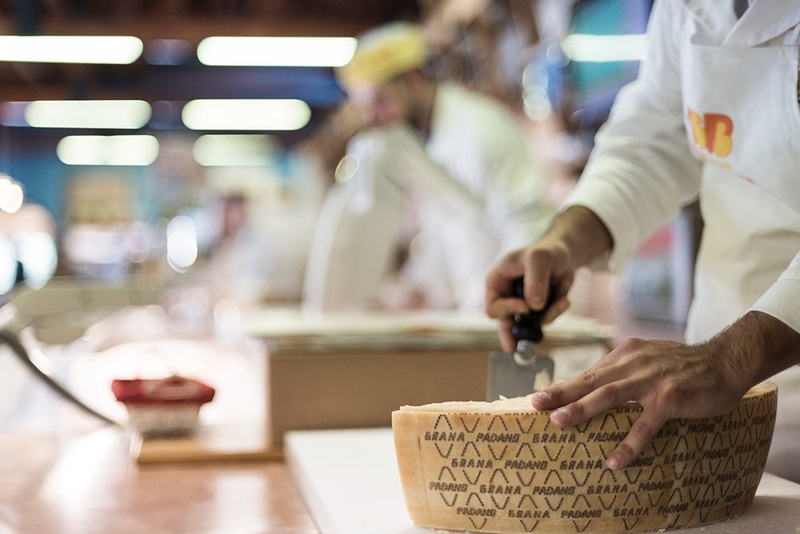 Or, the many awards won at cheesemaking competitions, including Grana Padano PDO being awarded the gold medal and Asiago Pressato winning the silver. 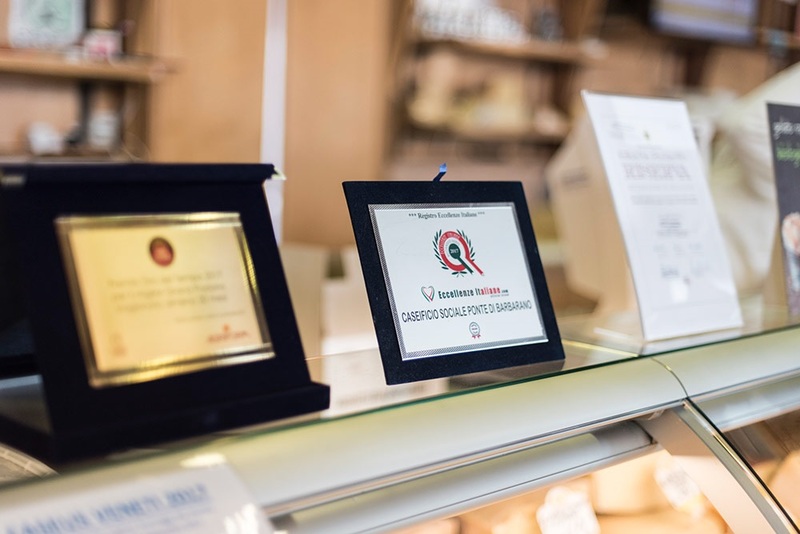 In addition to receiving gratification for the work, the awards also enhance the cheeses’ direct sales. 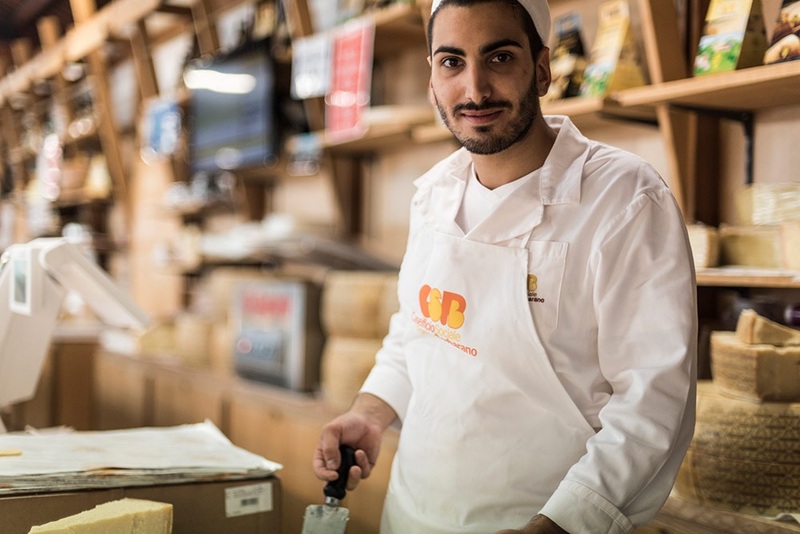 Here, customers can acquire Grana Padano aged 18, 24 and 30 months and Asiago Pressato, as well as stracchino and other local cheeses, such as, herbed caciotta, chili pepper caciotta, mascarpone and ricotta. 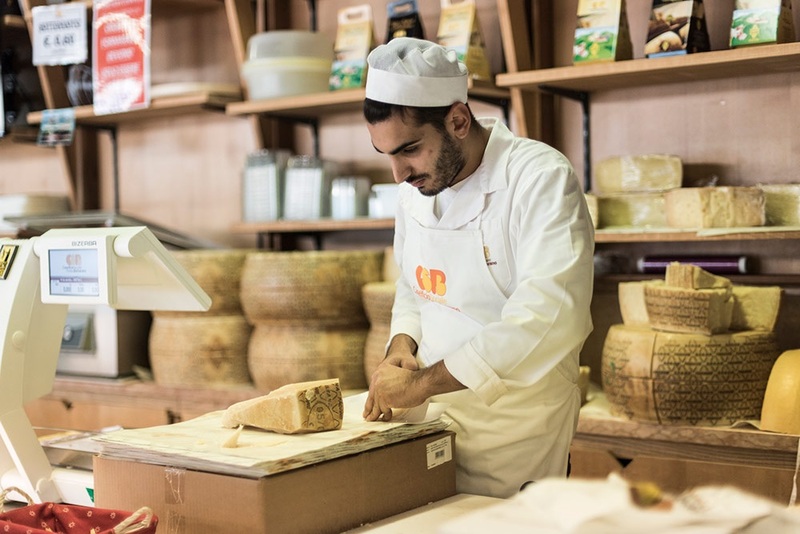 The shop is a true source of pride for the Caseificio, and is renowned for its quality… so much so that, especially on Saturday, you need to get a ticket and patiently wait your turn to get these wonderful products. 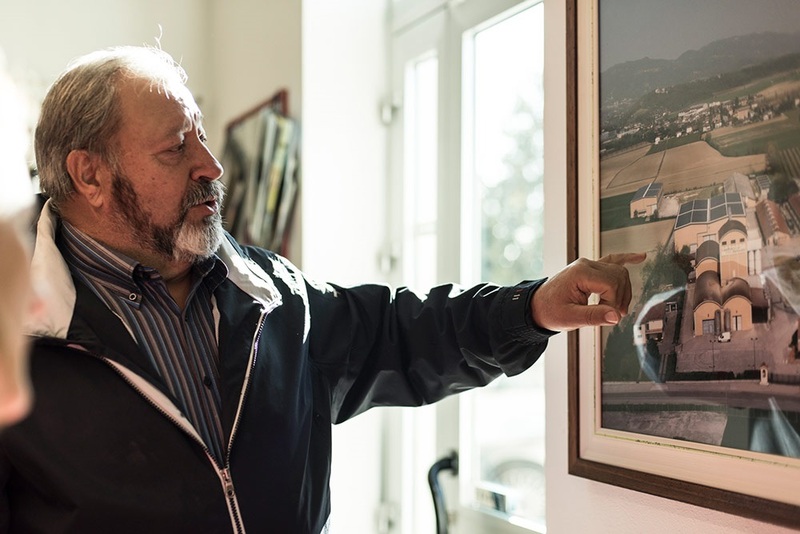 previous: Caseificio Sociale Monte Ozolo s.c.a.